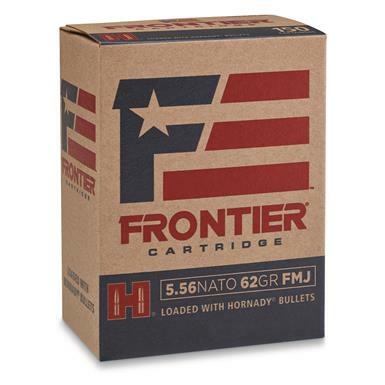 Hornady Frontier Cartridge, .223 (5.56x45mm), FMJ, 62 Grain, 500 Rounds is rated 3.0 out of 5 by 1. Rated 3 out of 5 by OscarsPlayground from Great for 1:8, not for 1:7 or faster!! These group really well out of my 16" 1:8 barrels. I purchased these seeking an affordable, sub-MOA round for a competition that went out to 500 yards. At 62 grains, these seemed like a great option for the riffle I wanted to run, a Daniel defense with a 1:7 barrel, that loves M855 ammo that can't be used on steel targets. I sighted in with the 62 Frontier and got a velocity at 50 yards at about 50F with only 5-10 rounds. I should have shot more. What I did not notice, they have thin jackets. 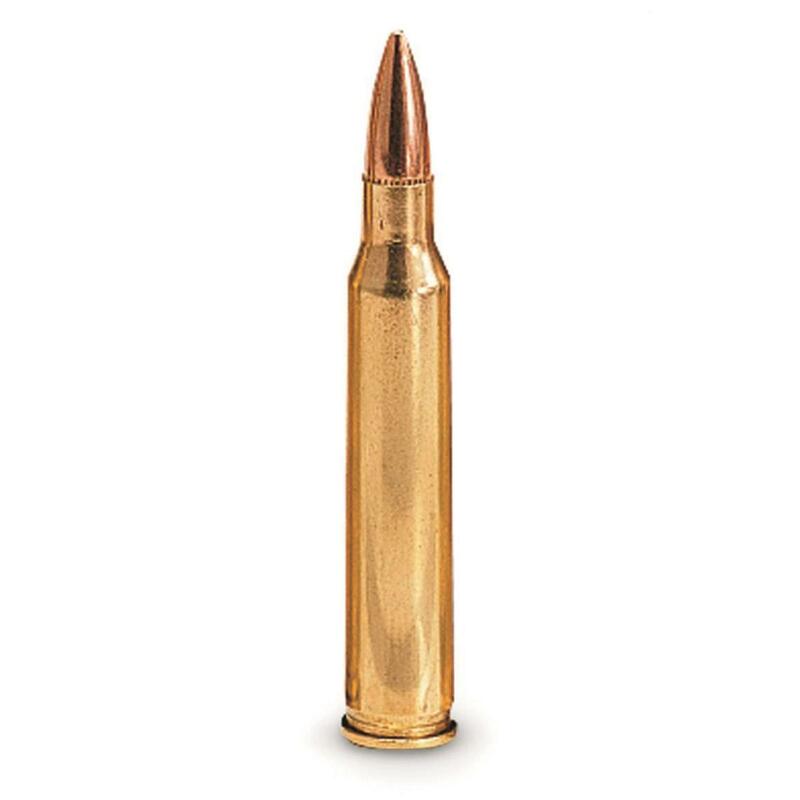 In competition, where it was hotter at 90F, many of the bullets fell apart 30-50 yards outside the muzzle. The videos show a visible "pop" from the bullet fragments dropping below the speed of sound. Targets (picture) showed the distinctive degrading bullet pattern. Made it pretty darn difficult to hit targets at range I logged a poor score on all stages but the CQB. If you have a 1:8 barrel and want an affordable, accurate round these are not bad. If you have a 1:7, beware.